The different judgments delivered by the Supreme Court Bench of nine judges finally arrived at a conclusion that the earlier view in the M P Sharma case that the right to privacy is not protected by the Constitution stands overruled. Similarly, the earlier decision in Kharak Singh case that the right to privacy is not protected by the Constitution is also overruled. There is almost unanimity among the judges in holding that the right to privacy is protected as an intrinsic part of the right to life and personal liberty under Article 21 and, of course, part of the freedoms guaranteed by Part III of the Constitution. What I have understood from the judgment is that it is in the nature of an interim measure adopted for deciding the individual subjects brought before the Supreme Court. Whether things like Aadhaar are constitutional measures can be decided only in the light of this nine-judge Bench decision. Those are matters where particular subjects are involved. Here the very large issue whether the right to privacy is a fundamental right. Ever since the Constitution came into being, right to life and liberty envisaged in Article 21 has been much expanded. I particularly remember the case of Olga Tellis in which the SC held that the right to life will include the right to livelihood and later, right to decent living. Thus the scope of Article 21 was much expanded. And the last among them was the Maneka Gandhi case, where the only exception under Article 21 for depriving the right to life and liberty was in accordance with procedure established by law—the SC held that the law in that regard should be just, fair and reasonable. That has stood the test of time. Here, the right to privacy has also been held to be a fundamental right. I don’t find it as a very big leap forward, because prior to this judgment, the right to privacy was counted and recognised as a common law right, and not a fundamental right. The difference between a common law right and fundamental right is very thin, in the sense, against a common law right, statutes can be made. Once the common law rights are curtailed by the statute, the statute will prevail over the common law rights. If it is a fundamental right, the statute cannot be made by the Parliament or legislature. That is the difference. Here, Article 21 and Article 19, which are considered to be the sheet anchors for holding this view are themselves, containing restrictions for the right. No fundamental right in the Constitution is an absolute right. For example, the right under Article 19 is subject to restrictions enumerated in the other sub-articles thereafter. Even Article 21, the right to life and liberty is subject to the law, which could be legislated either by the Parliament or the state legislature, subject to one condition—after the Maneka Gandhi case, that the law should be just, fair and reasonable. In other words, even today any right to privacy can be restricted by the state legislature or Parliament, by passing a law; the only reservation is the test of the law under the judicial scrutiny must prove that it is just, fair and reasonable. That means the subject is yet to be decided in different situations. The right to privacy would include your privacy in the bedroom. It is also mentioned in the present judgment; sexual orientation is protected. But under the guise of sexual orientation, if something anti-national or affecting the security of the nation is being carried on, to what extent the state can interfere is a matter depending on the legislation made on that behalf. More importance shall be given to the security of the state, public health and public morality. Under the guise of right to privacy, if these three are affected, then the state—the Parliament and legislature— will still retain the power to impose reasonable restrictions. So the mere fact that the nine-judge Bench held that the right to privacy is a fundamental right does not mean that anything and everything can be done in India. The most important thing for the Indian Republic is the security of the nation. When the state of Maharashtra wanted to remove all the hawkers selling on the pavements, the apex court held that they have the right of living. But Supreme Court observed that rehabilitation by giving them other provisions of carrying on their business or trade will protect their right. The right of the pedestrians and right of the motorists are also to be considered along with that situation. In that way, each case, when it is dealt with, will have to be decided in the background of claims and counter-claims. The main difference now is, what was a common law right hitherto has been promoted to a fundamental right. The current judgment is only laying down a very important guideline for considering the future cases—to be decided on the merits of each subject. For example, can what is needed for Aadhaar be made compulsory? In the light of this judgment, it is doubtful whether it can be made compulsory. But then those who are not opting for Aadhaar will have to suffer in certain instances. For example, if one wants certain privileges, the state may say these privileges will be advanced only to those who can produce an Aadhaar card. But then, take the case of income tax payment, where Aadhaar is very important. You have to pay income tax; otherwise, you will be caught. There is an element of compulsion involved in it. So, that matter is yet to be decided by the court. No opinion has been expressed by the Supreme Court in this regard. The judgment will open a Pandora’s Box. What this judgment said was the right to privacy which was hitherto a common law right has been transformed into a fundamental right. But, I repeat, no fundamental right is absolute. 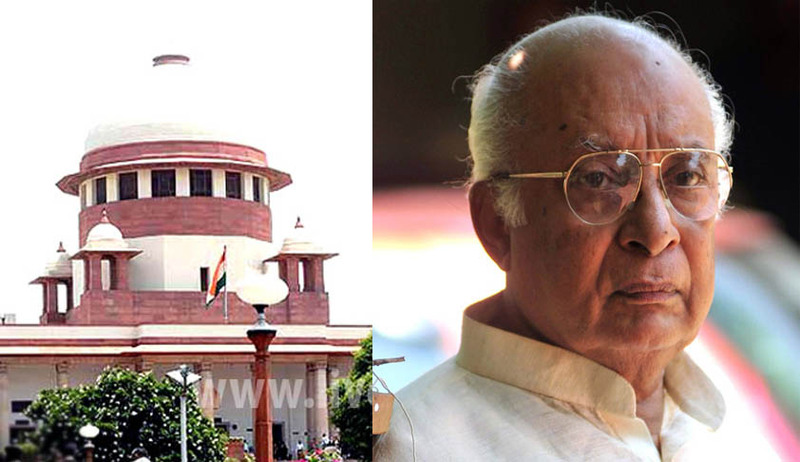 Justice KT Thomas is a former Judge of Supreme Court of India. This Article is first published in The New Indian Express. The views are personal.